Once a year, as summer’s sizzles peak and sparkle, the thriving Festivale Tasmania takes over Launceston’s otherwise tranquil City Park, transforming it into a vibrant 3-day gathering designed to celebrate the Tasmanian region’s flourishing gastronomic abundance. 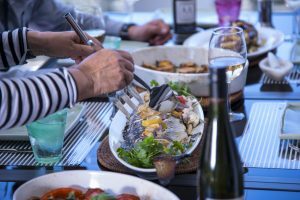 Attracting over 30,000 epicures from all over the world, this festival has become widely known as an iconic Aussie feast. 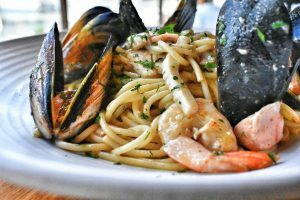 Nestled amongst beautiful elm trees and blessed with the freshest air, Festivale is all about rejoicing in the region’s best produce, which includes superb seafood, cheeses and chocolate. The area’s exciting multiculturalism allows for a large variety of dishes, as well as vegetarian and vegan options. The festival flaunts superb cool climate wines, beers, ciders and spirits that will make the most experienced connoisseur’s taste buds revel in delight. There is a wide variety of arts and entertainment offered at Festivale, with its culturally and historically relevant outdoor setting also greatly contribute to making it a experience worth planning for. Entertainment of all sorts, from music performances to circus artists, cooking demonstrations to ingenious street performances, Festivale caters to every desire. The delectable platters and spirituous beverages create the perfect ambiance to deliver fun new memories with friends and family. Expect to be stricken with wonder by the endless spectacles of acrobatics and body contortions, magic tricks, belly-grasping comedy shows, hula hoop skills and costumed creatures prancing around. Who Does It Appeal To? Why Go? If your favourite way to spoil yourself is by bathing your palate in delectable juices, this is no doubt the place to be. If you’re a lover of culture, let Launceston’s fascinating history enthrall you, as well as the splendid colonial and Victorian architecture, being Australia’s third-oldest city. Families will find select areas for their children, who delight in finding small oases of play and rest. Young ladies and gents may even participate in a youth talent contest and strengthen their skills (and hey, youth refers to 35 just as much as 16)! What better time of the year to host the Festivale than on the first weekend of February? The years since 1988 confirm this to be the most adequate time of the year, as summer is shining in all its glory. Launceston’s aesthetically-pleasing City Park is blessed to accommodate the Festivale each year, with all and its gardens, duck pond, monuments, the City Park train, a children’s playground and toilets. Launceston city, possessing the facilities of a much larger city without the crowds or traffic, boasts a central location, only 90 minutes from Cradle Mountain, 2 hours from Coles Bay and the popular Wineglass Bay on the east coast and 2 hours from the gorgeous coastal capital of Hobart. The Tasmanian region as a whole, with its urban and rural charm, exquisite wineries, and scenic landscapes, truly makes the visit more than worthwhile. You can fly into Launceston from Melbourne or Sydney, and choose between a number of public transport options to move around. Conveniently, a number of Launceston's hotels are within walking distance of Launceston's City Park. 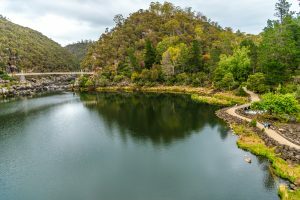 Amongst the must-sees in Launceston are the serene Cataract Gorge, with panoramic lookouts to spectacular views, the Queen Victoria Museum and Art Gallery, the James Boag Brewery, and Harvest Launceston, an outstanding farmer’s market, where you can splurge on nuts, berries, truffles, organic meats, and more. 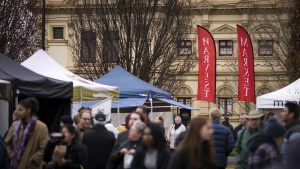 The Festivale was established in 1988 as a multicultural street party, and oh how it has grown! 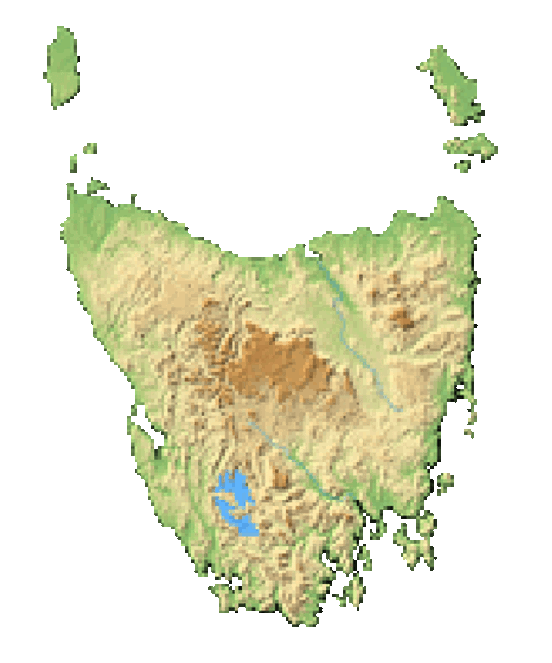 In terms of the area of Launceston, its first inhabitants were nomadic Aborigines. Later in the early 1800's, Europeans made their first establishment. Small hotels and breweries started to pop-up in the 1820's, expanding rather quickly. Decades later, in the 1980’s and 90’s, Launceston grew from a small town into an urban centre. Who would have guessed? Tickets for Festivale go on sale the October before the event. Family passes and 3-day single person passes are available.